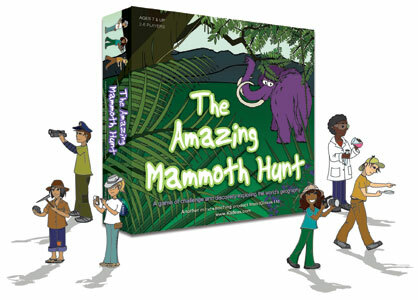 Building on the achievements of The Amazing Moa Hunt, this is the first expansion pack. You need the original game to play, but this adds a new set of intriguing (if less well-known) Kiwi places. 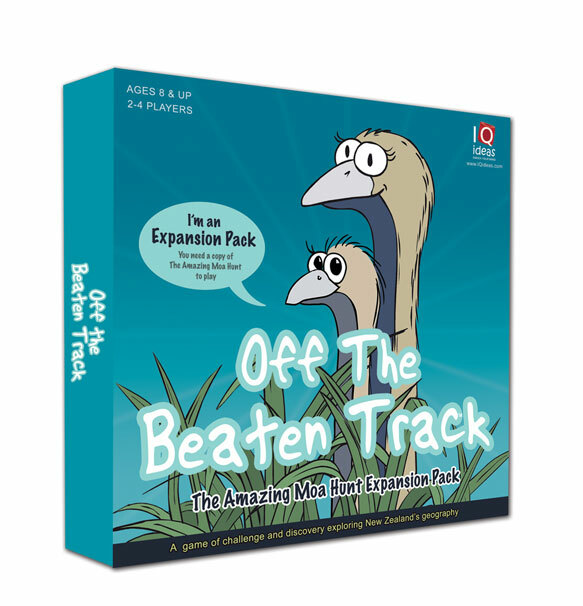 We rolled some of the Amazing Mammoth Hunt improvements – the clue sheet and rules tweaks – into Off The Beaten Track, and added a short game track for those players who have limited time. I love Bek’s mother & baby Moa image as representing the first offspring from the original game! You can buy Off The Beaten Track in stores or from IQ Ideas.